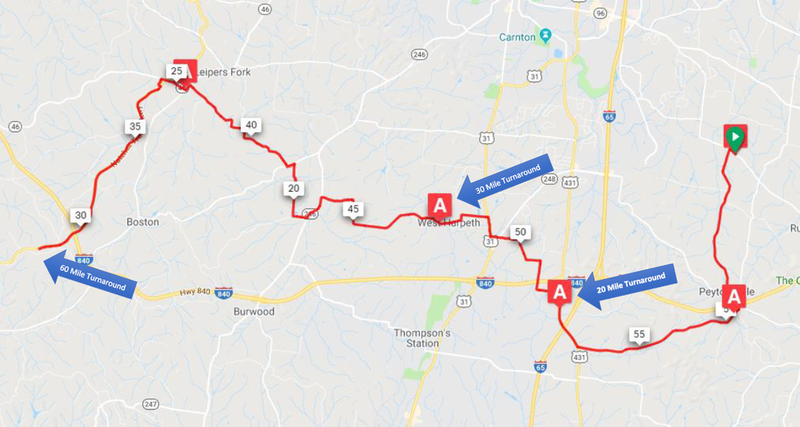 The TennSpeed will start and finish at Epworth United Methodist Church just 20 miles south of downtown Nashville. Cyclists will enjoy the rolling hills and beautiful scenery that Williamson County offers, all while riding for a great cause! Route options include 20 miles, 30 miles, and 62 miles for the most novice and experienced cyclist. This is a fully supported ride with rest stops every 5-10 miles along the route. Each rest stop will offer medical staff, support and gear vehicles, bike mechanics, helpful volunteers, as well as necessary food and beverages to refuel!